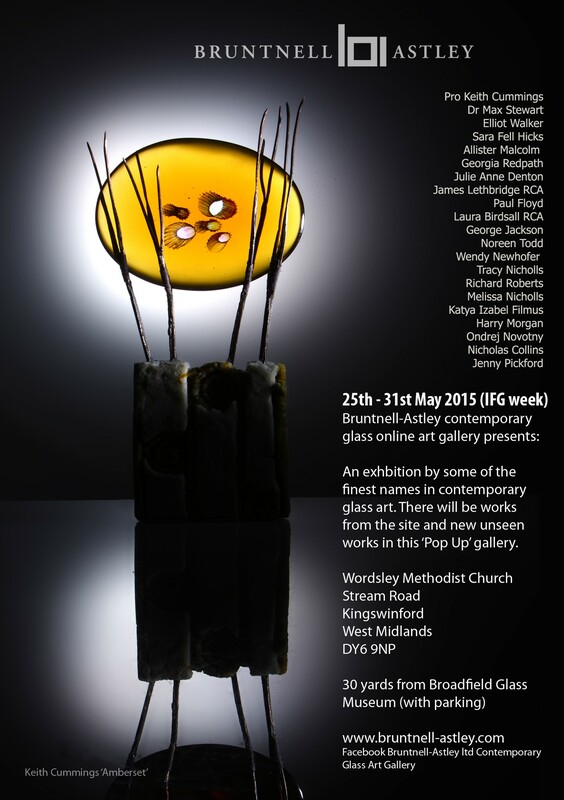 Bruntnell-Astley presents a ‘Pop-Up’ Gallery of Contemporary glasswork on the 25th till 31st May 2015. This exhibition of the finest names in Contemporary Glass will be held in Kingswinford Methodist Church, Kingswinford (near Broadfield House Glass Museum) and will be running alongside the ‘International Festival of Glass Weekend’. Bruntnell-Astley is based in Stourbridge and is an online glass gallery, featuring a selection of the finest names in contemporary British studio glass. Click Bruntnell-Astley to visit their website.